After avidly following the @FSBali Instagram page before the trip, I thought I had some idea of what the property may look like. But like most incredible sights, photos can never quite do it justice. No amount of Instagramming could have prepared me for how I would feel on arrival; speechless, ecstatic and simply in awe of my surroundings. It was the most spectacular hotel entrance I have ever seen. We pulled up to a looping driveway, which led to a wooden footbridge that extended over treetops and an emerald green mass of jungle. 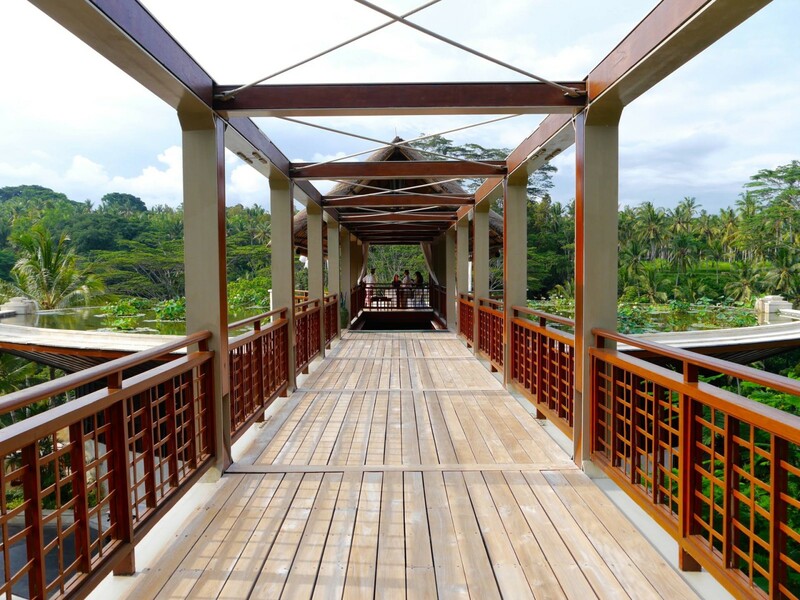 The walkway ended at an infinity lotus pond with 360 degree views of lush landscapes. Somebody pinch me? After pulling myself together, I joined the group down 1 level at reception level of the main resort building, which was equally as exposed to the elements. 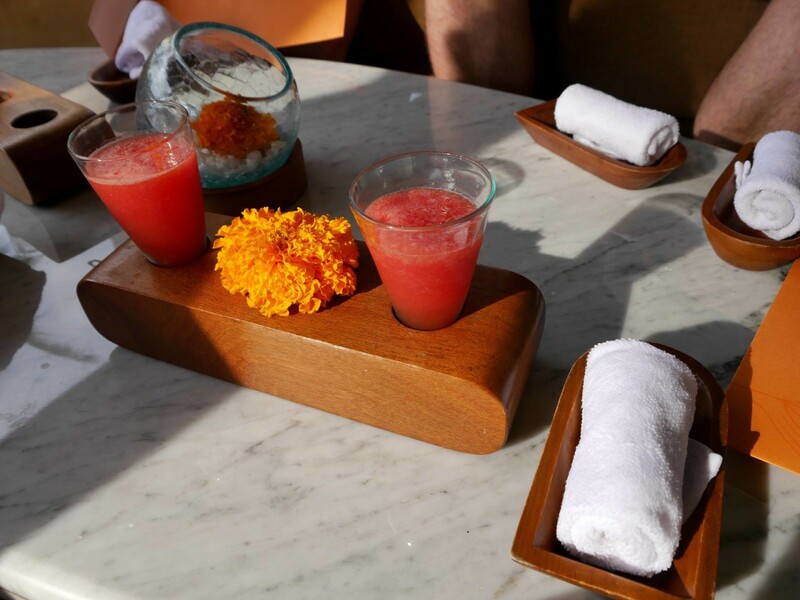 We received a warm welcome and were given cold towels and a frozen watermelon juice to refresh us from our journey. 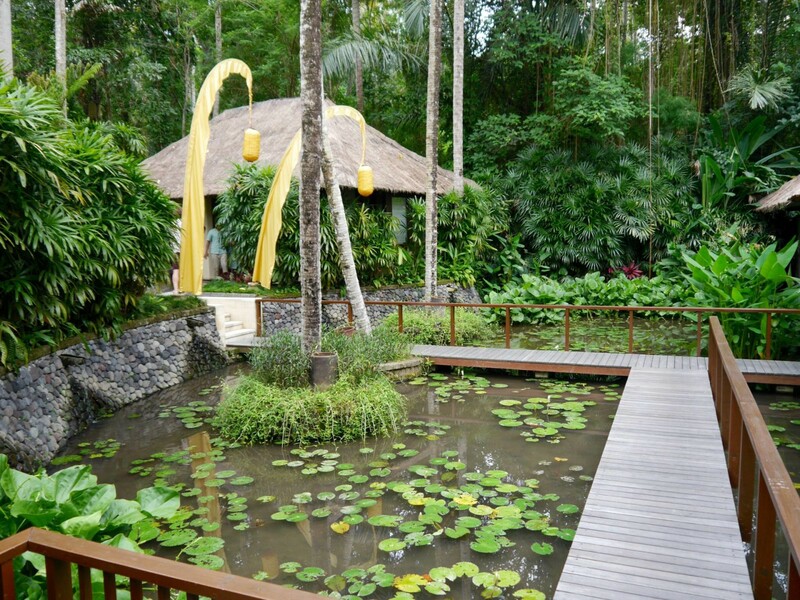 The resort is surrounded by acres of rural jungle and working paddy fields. 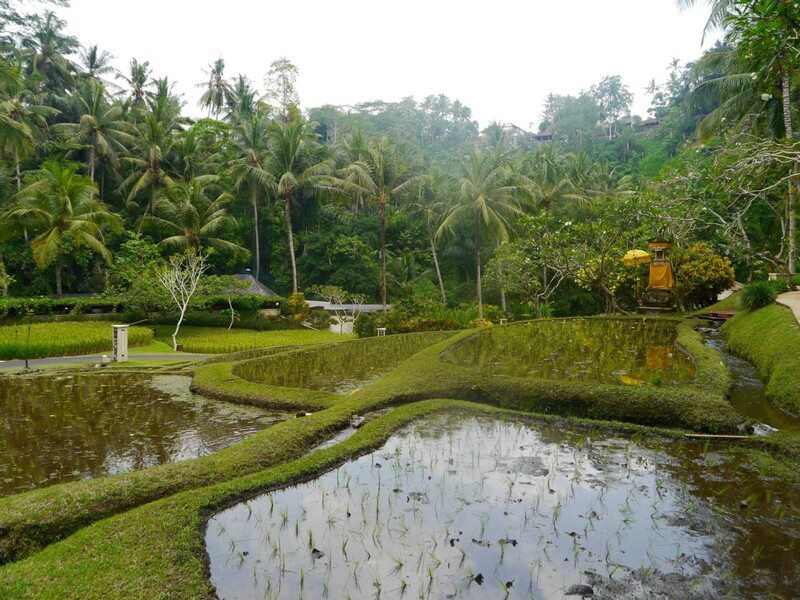 The paddy fields you see are part of the resort and are maintained and harvested by Four Seasons farmers. 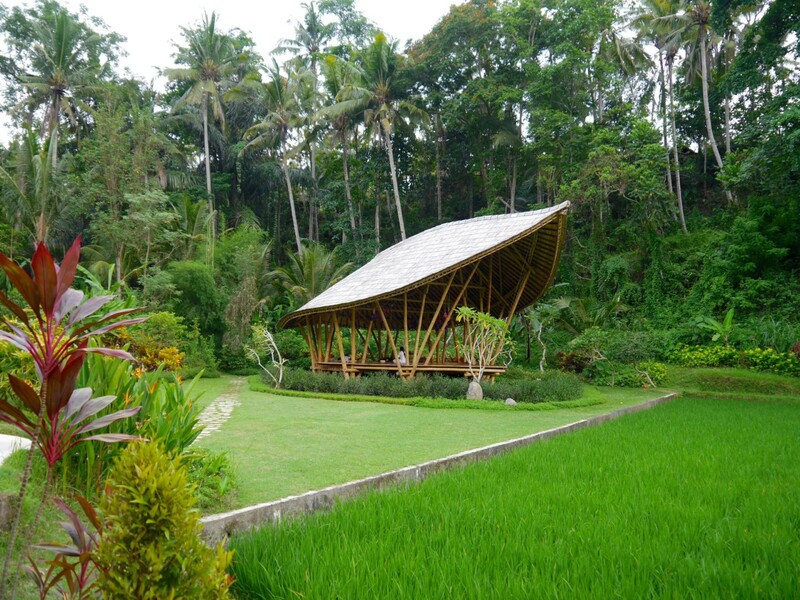 All the rice available in the resort has been grown right on site and their A Day in the life of a Balinese rice farmer experience allows guest to delve in deeper into the ancient techniques of rice farming. Four Seasons Sayan has a total of 60 suites and private villas, but its thoughtful design makes you feel like you’re the only ones out in the wilderness. 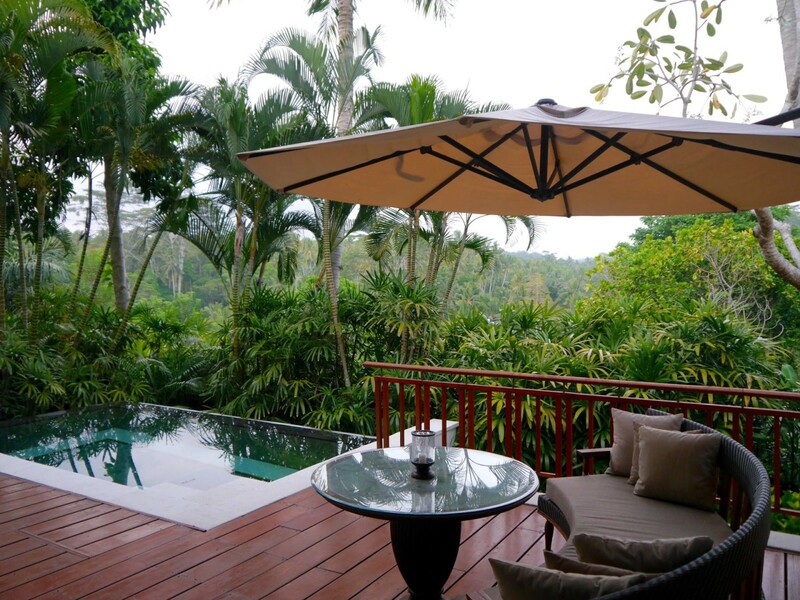 I spent 2 nights in one of the private villas which boasted a private entrance, expansive outdoor living area and infinity pool overlooking the jungle. 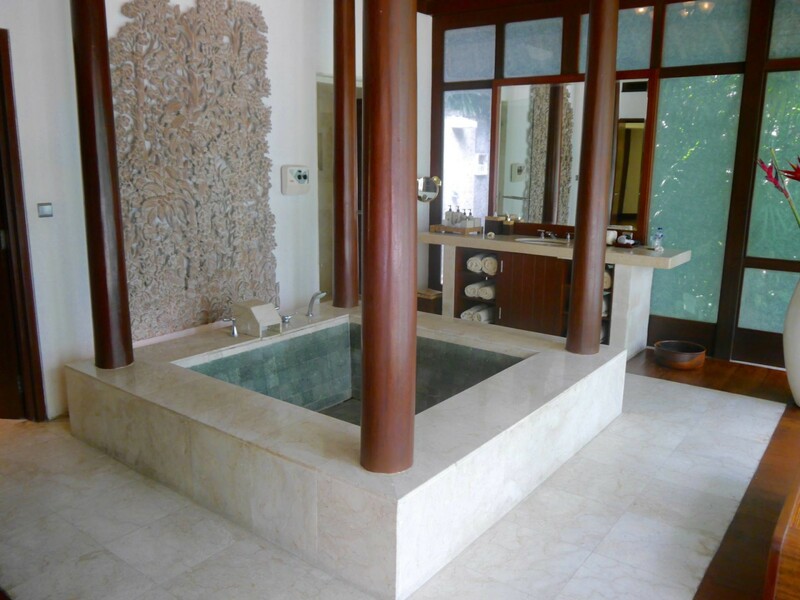 Inside, the villa featured a four poster bed, his and hers sinks, huge bathtub with scrubs and salts and an outdoor shower area. 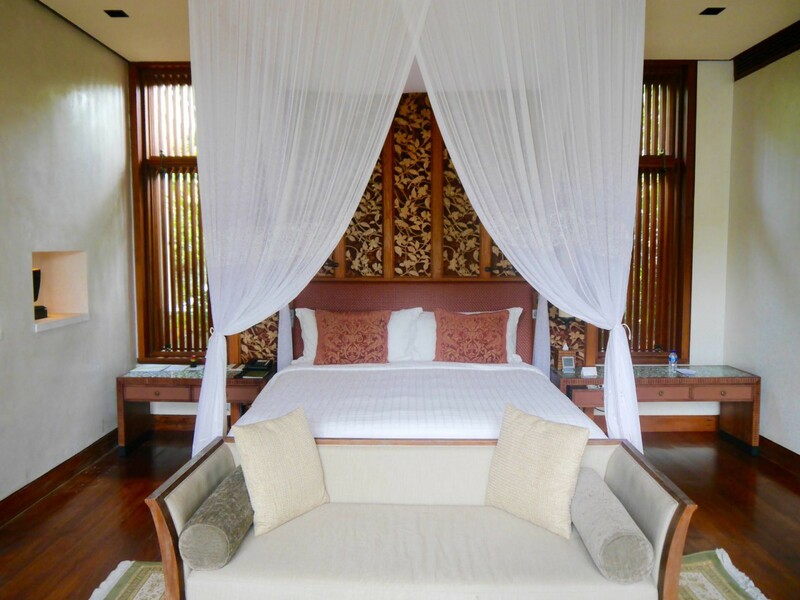 The bedroom and bathroom were adorned in deep teak wood and the four poster bed was the central focus of the room. The white mostiquto curtain surrounding the bed added a romantic ‘out of Africa’ touch and lying in there with the curtains drawn felt like the safest place in the world. I wanted to make the most of my villa, so on the first night I stayed by the pool until the sun went down and ordered an Indonesian feast to the villa via room service. I lit the outdoor candles and burnt one of the incense sticks available in the room. 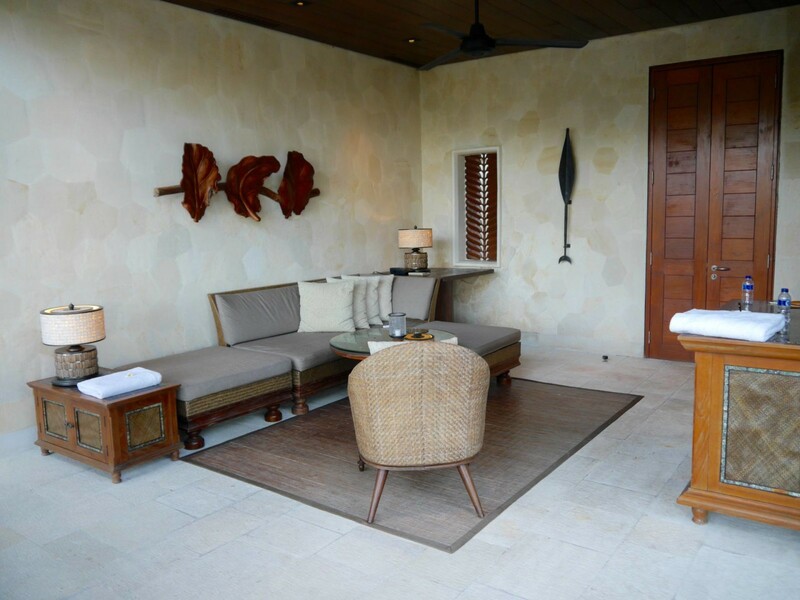 I felt myself unwind into my surroundings as I absorbed the smells, tastes and sights of my private villa. 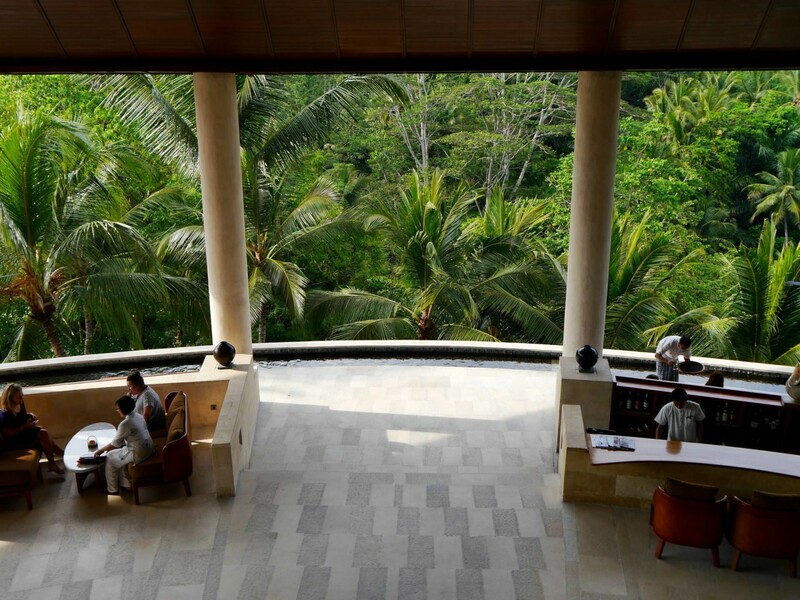 To get a true sense of what the Four Seasons Sayan is all about, a trip to The Sacred River Spa is an absolute must. 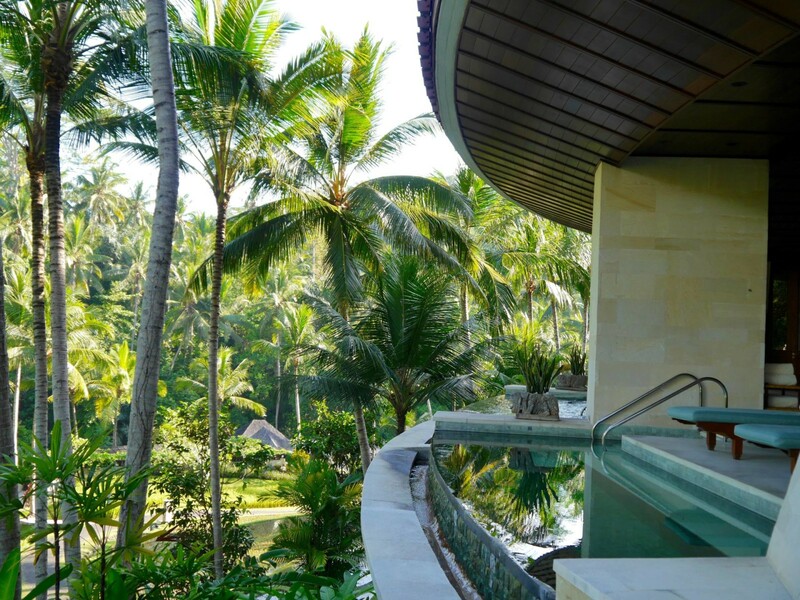 The spa takes inspiration from ancient Balinese beliefs and practises and channels them into a selection of bespoke treatments that target mind, body and soul. 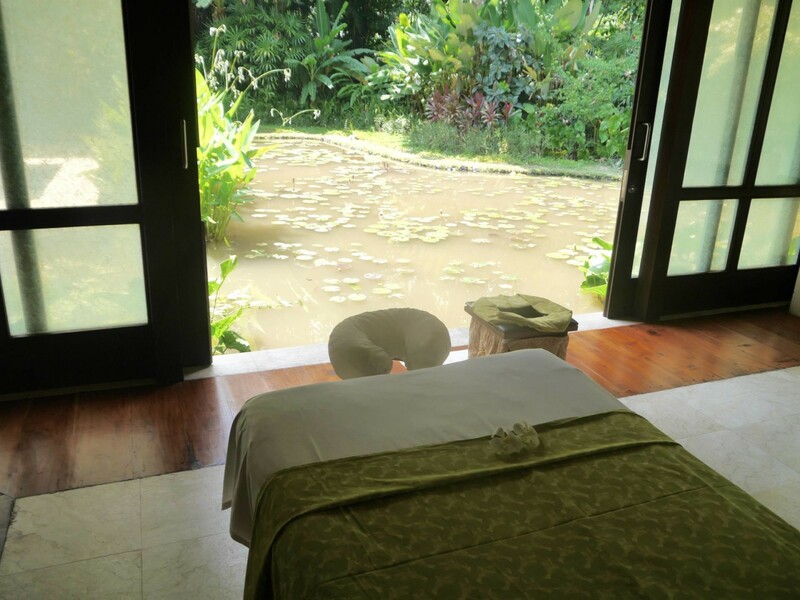 Spa treatments can take place either in the main spa within the central building or in a selection of private spa bungalows down by a lotus lake. I was lucky enough to experience my treatment in the largest spa bungalow that had its own private pool, shower, Jacuzzi and changing areas. My treatment was a chakra ceremony that lasted 120 minutes. After filling out quite a personal chakra questionnaire, I was assigned the Muladhara treatment. The Muladhara chakra is the root chakra that is located at the base of the spine, so my treatment focused on the lower back in particular. The treatment started with an invigorating body tapping ritual to tap out bad energy followed by a cleansing ritual with smoke and a deep, slow full body massage. Without doubt, it was the best spa treatment I have ever had in my life. I felt like it healed me from the inside out and worked on my mind, body and soul. Thank you to my amazingly talented therapist Widi. 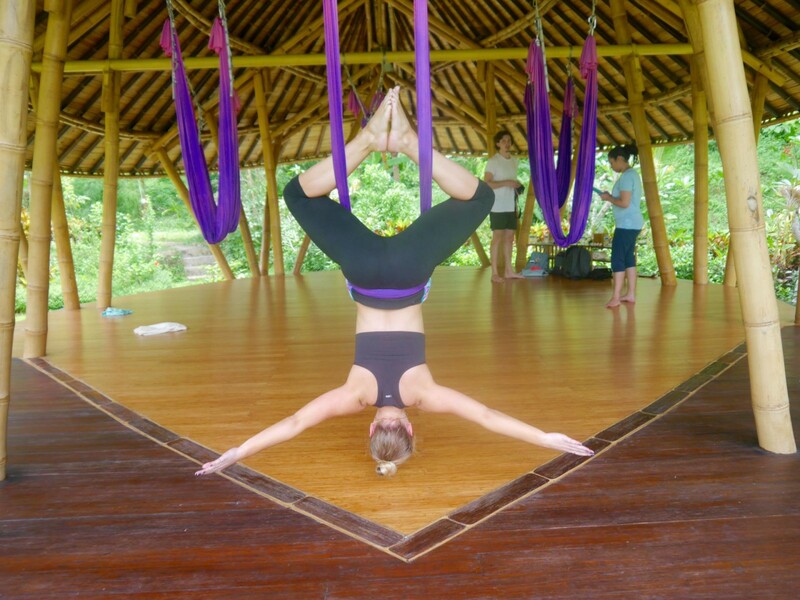 As well as my spa experience, I got to try out anti-gravity yoga in the resort’s brand new yoga bale. Surrounded by a babbling stream, rice paddy fields and wild butterflies, it felt like something close to nirvana. I’m by no means a yoga pro, but whenever I give it a go I absolutely love it and tell myself I should do it more. I did gymnastics throughout all of my teenage years which has kept me really flexible even in my 20s. We were taken through some basic motions and got used to the canopy taking our weight. Towards the end of the session we were taught some slightly more adventurous moves, including ‘The Spider Man’ and some fantastic suspended stretches that were great for lengthening the spine. Although the poses look relaxing, it was actually quite painful to hold them for too long. 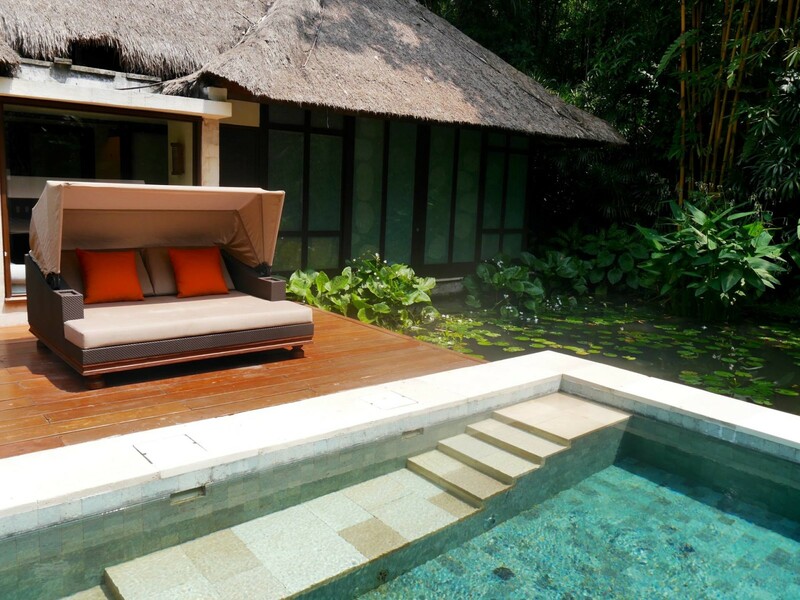 For an alternative to relaxing in the privacy of your jungle villa, the resort pool is the perfect hangout spot. An infinity pool overlooks an energetic river that is popular for white-water rafting and the connecting Riverside Café serves up European dishes for lunch and dinner. 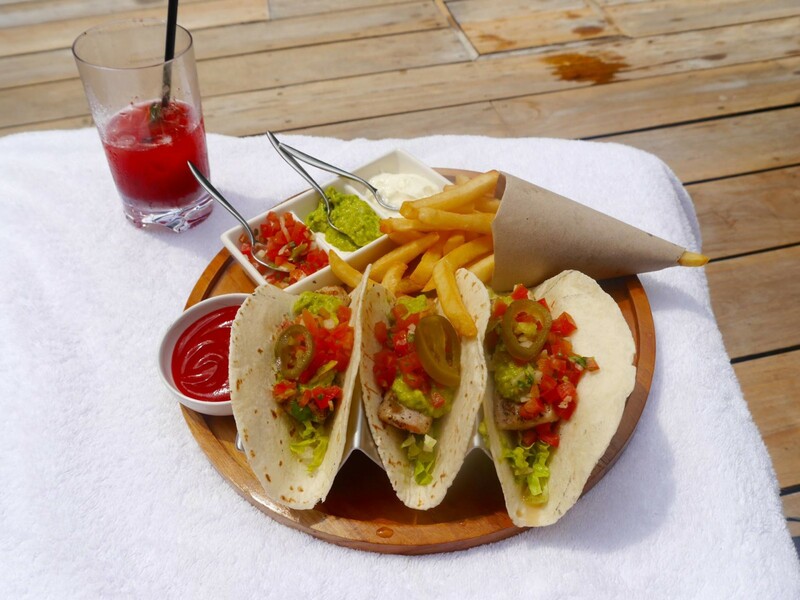 There is also a great snack menu that can be served straight to your sunbed. I ordered the fish tacos and a virgin fruit cocktail, both of which were indulgently delicious. 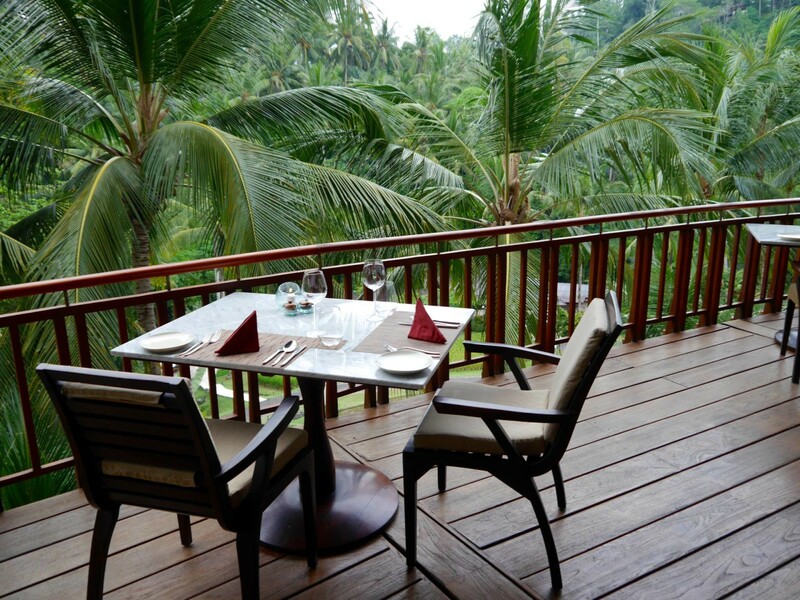 As well as Riverside Café, guests and visitors can dine at Ayung Terrace which is located in the main building. 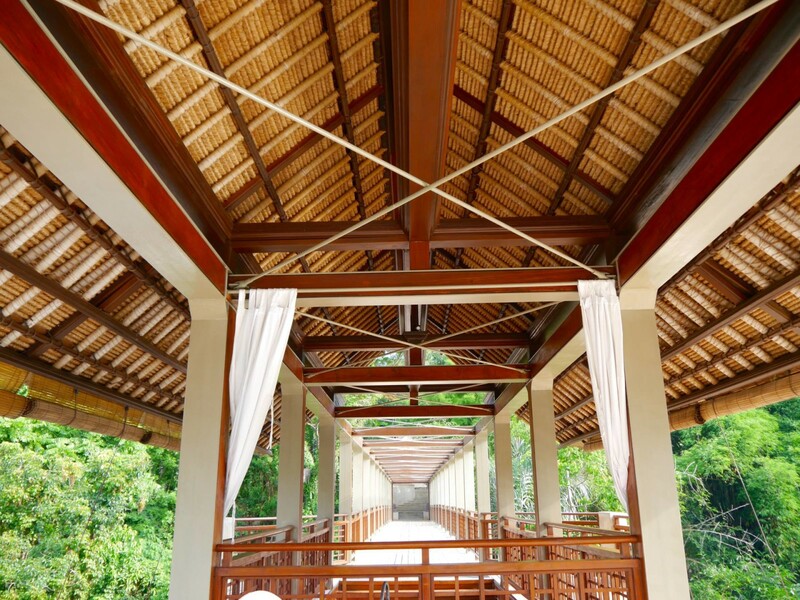 A curved balcony lined with tables make it feel as if you’re dining right in the jungle (if you’re lucky enough to witness a dramatic tropical downpour, sheltered tables are also readily available). 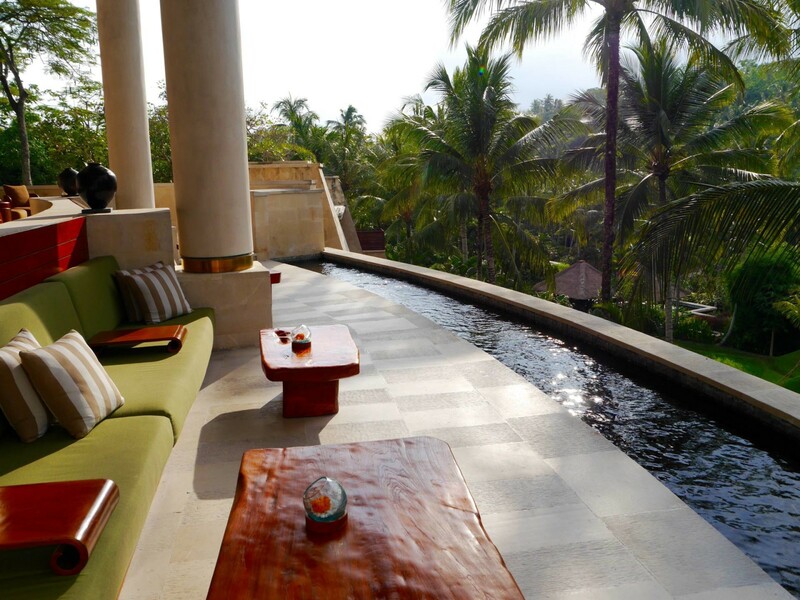 Ayung Terrace serves up traditional Indonesian dishes presented in a beautifully modern way. 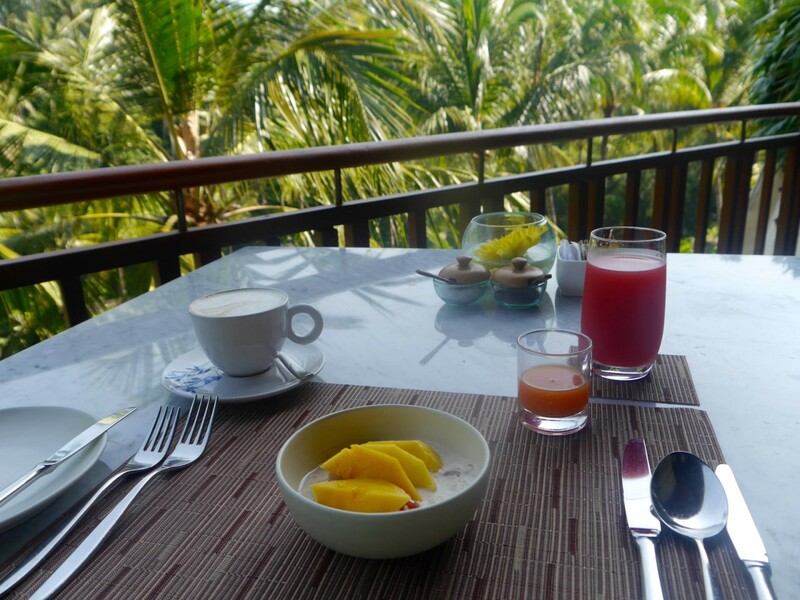 I came to the terrace for breakfast one morning and loved the detoxifying juice shot they offered me, as well as their ‘juice of the day’ which was watermelon. Another thing I loved about the Four Seasons Sayan was that it had a complimentary programme of activities available to all guests. 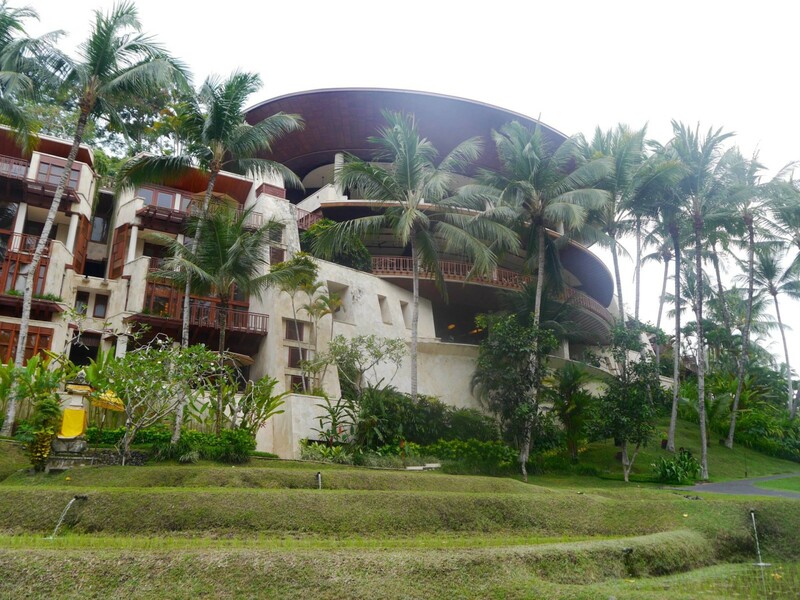 On arrival I found the programme in my suite, which included a selection of yoga classes, guided walks, cycling, life talk series, meditation classes and Balinese dance performances. The activities vary from day to day and I went along to a medication class which challenged me to switch off and refocus my mind. 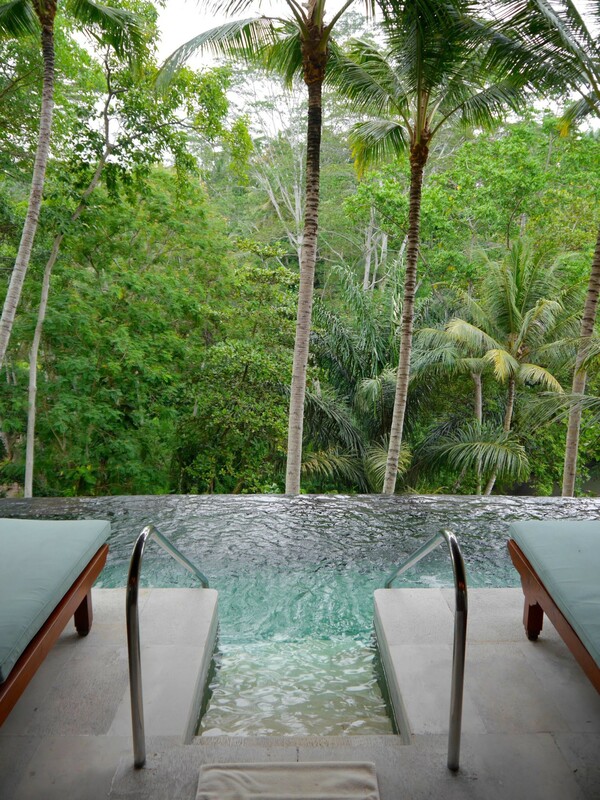 The Four Seasons Sayan is one of the most special properties I have ever seen. 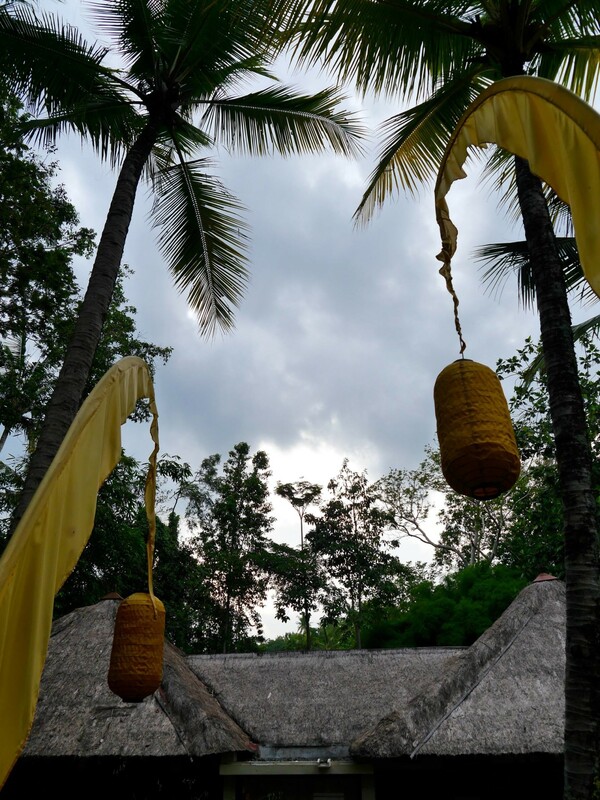 The resort is a destination its own right, where you can immerse yourself in the local cultures, customs and ancient practises of Bali. 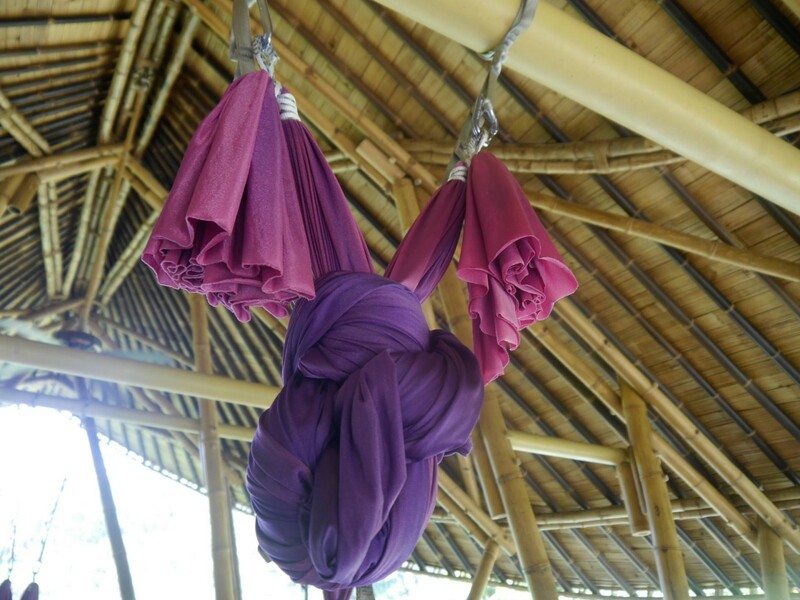 It’s on the doorstep of Ubud, where there is also so much to discover. There is something in the air here that will touch even the coldest of hearts and everything you see, smell, taste and touch would be impossible to forget. Whilst the less tranquil surroundings of London life may make the meditation a little harder to maintain, I really have taken away learnings from the Four Seasons Sayan that will stay with me for life. Thank you to the whole team for creating such an unforgettable trip. 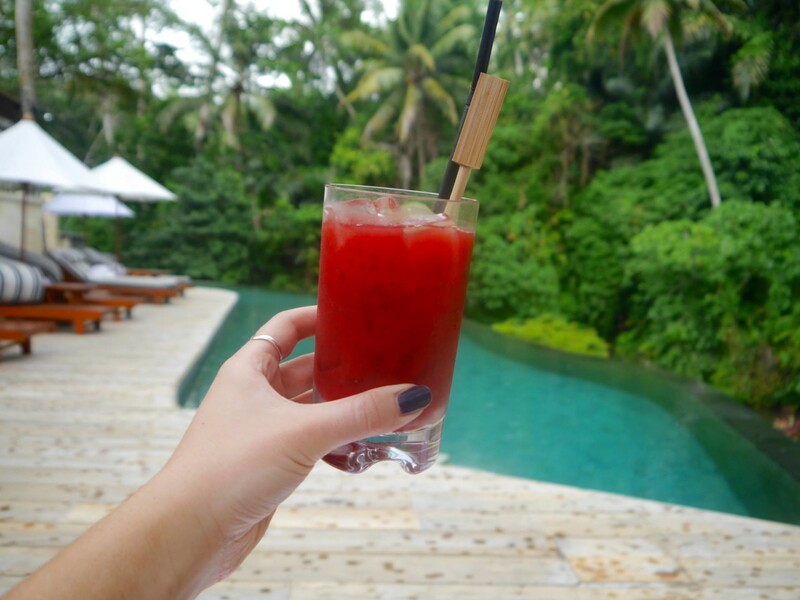 Perfect for; honeymoons, wellbeing retreats, digital detoxes and a luxury base for exploring Ubud. 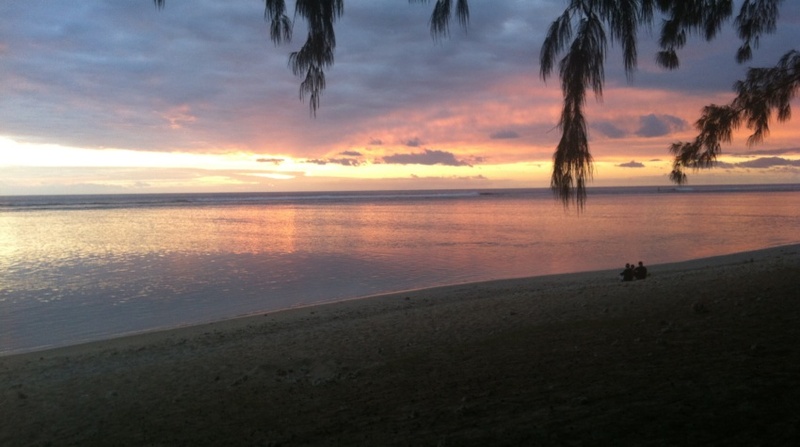 I had the pleasure of staying there for one whole week, and it was beyond my wildest dreams. Indescribable and simply breathtaking.Never in my life have I felt so good! It hit the spot so hard it practically rebooted my life. It left me with such a positive impression that I made a pledge to have my honeymoon one day over there. I honestly felt that god had created Four Seasons Sayan so that we could have a taste of what heaven might looking feel like. Your review of it captures it so accurately it’s not even funny. I went through the exact same emotional responses you had experienced. I yearn for the day of when I’ll be able to return! Oh my gosh, it looks stunning! Like a beautiful tropical haven! I’ve been wanting to go to Bali for a while now, hopefully it happens soon! I almost cried reading through this. Everything looks like sheer paradise. Have always wanted to visit Bali and it honestly felt like you took us along with you! Amazing review. Wow. This place looks amazing!! 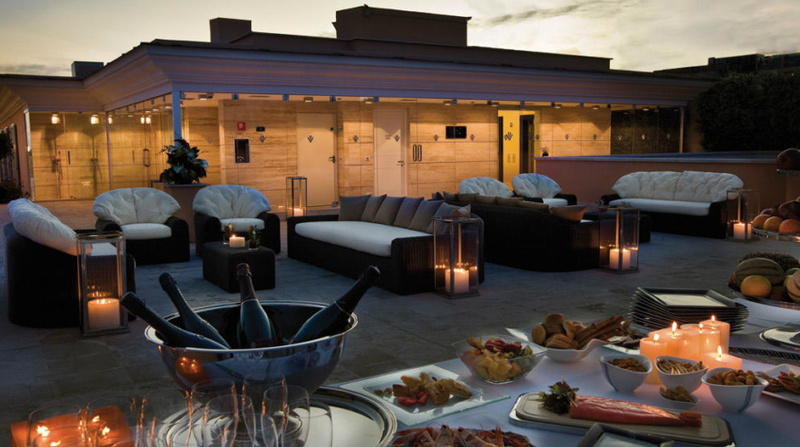 I have always wanted to visit Bail and staying somewhere like here would be a dream!! This hotel looks so beautiful and peaceful! This is definitely added to my list of places to visit. Sounds like an absolute dream. I’ve been wanting to go there for quite some time now! So gorgeous. Oh and .. where is your swimsuit from!? Absolutely love it. The hotel looks so beautiful!I really like how they make you feel like you are the only one guest in a whole hotel.Sounds perfect!